Insurance companies are moving away from multiple isolated applications to service-based integration. They are adopting technologies to improve core insurance operations, i.e., billing management, claims management, etc. However, they are grappling with integration problems as these systems don’t work nicely with the legacy applications. Haphazard adoption is making their ecosystem more complex and restraining them from making the best use of their technologies. Insurance companies can circumvent many of these problems if they factor enterprise integration to connect heterogeneous and hybrid IT systems. Until now, the Insurance industry was slow to new tech adoption. However, this trend is changing now. New insurance players with advanced technologies have leap-frogged previous players including many technological behemoths. These players are leveraging advanced technologies like artificial intelligence, telematics, machine learning, robotics, etc. with a lower operational cost and better efficiency. Traditional insurers are also adopting new technologies to gain similar benefits. However, they are realizing that their existing systems are hard to be deployed on the cloud network. Rogue silos and differentiated architecture is preventing them from accessing commercial benefits downstream. Traditional insurers who are not willing to change can soon lose business to other smaller players who have better technologies. Smarter companies are successfully upending their products with better risk control and policy management. Integration will be the fundamental challenge before traditional insurers. They will face problems in interconnecting new and old technologies and orchestrate them in an order for smoother data transactions. Every new piece of technology will have its own nature of data model and silo. And every new layer of technology will add an extra layer of complexity to the environment. Insurance companies will need a single runtime engine to turn and resolve all integration issues. They need to establish a single shaft or control unit to safely manage all applications in an ecosystem. The right solution all these pervasive integration needs is enterprise integration. Enterprise integration enables business users to establish a smoother symbiosis between enterprise applications, processes, and technologies. Operational users can combine traditional & modern applications and expose them as cohesive services to clients. Enterprises can create a data lake and prepare the data for analytics and research purposes. They can advise their clients better and provide a tailored advice to them. They can restructure their insurance models in a way and ensure maximum efficiency with minimum throughput. Insurance companies are using smart boards and chatbots for engaging their customer. However, they don’t have appropriate drivers for studying the data that stay in other application. Enterprise integration ensures that the data remains at the fingerprint of the employees. This allows teams to respond faster to the needs of the target audience and close the deals faster. With start-to-end integration, insurance companies can resolve the queries of customers faster and deliver good customer experience to them. Business users can build technology integration without relying on IT developers. Similarly, the IT can spend less time in building integration and focus more on enterprise IT governance. IT teams can drive innovation and security issues. 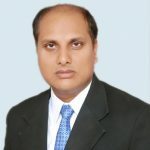 Prince Kumar delivers groundbreaking information solutions to leading clients across the globe. He is a technology writer who likes writing on business technologies which fix critical technology integration challenges.